Singer and The Voice of the Philippines coach Charice sang a cover of the popular song by Miley Cyrus Wrecking Ball on the show ASAP, a variety and musical show in the Philippines that air every Sunday at noon. 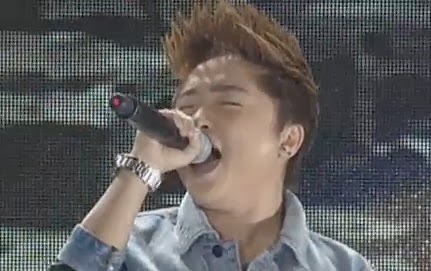 Introduced by an ASAP host, Charice hit the stage in her now signature black jeans, denim jacket and spiky hair. The stage was also decorated in a way that makes you think it was heavily inspired by the very controversial music video for the original song by Miley Cyrus. The stage was strewn with rock props and huge screens projecting wrecked walls. The young singer ended the song with a huge applause from the studio audience. Feedback from fans regarding her rendition of the song are mostly positive. The official music video for Wrecking Ball is currently one of the most-watched videos in YouTube having broken a couple of records in the popular video-sharing site. Since being uploaded in September 9, 2013 the video now has over 271 million views. Charice has a new album coming out this year called Chapter 10 and it contains ten songs. These are covers of well-known tunes like Makita Kang Muli, How Could an Angel Break My Heart, Titanium, The One That Got Away and Sometimes Love Just Ain't Enough.